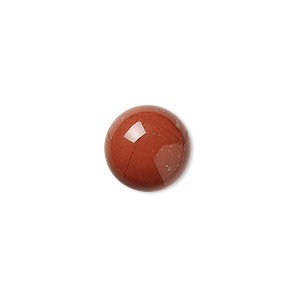 Cabochon, red jasper (natural), 6mm calibrated round, B grade, Mohs hardness 6-1/2 to 7. Sold per pkg of 10. Item Number: H20-1561CB Have a question about this item? Red jasper's brick red color is an especially attractive stone for men's jewelry. Red jasper has been used as a stone of protection for thousands of years. Cabochon, red jasper (natural), 10mm calibrated round, B grade, Mohs hardness 6-1/2 to 7. Sold per pkg of 10. Cabochon, red jasper (natural), 8mm calibrated round, B grade, Mohs hardness 6-1/2 to 7. Sold per pkg of 10. 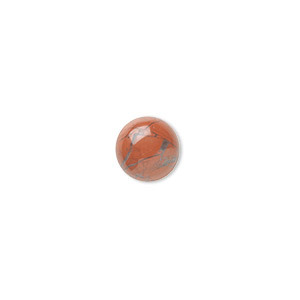 Cabochon, red jasper (natural), 20mm calibrated round, B grade, Mohs hardness 6-1/2 to 7. Sold per pkg of 2. 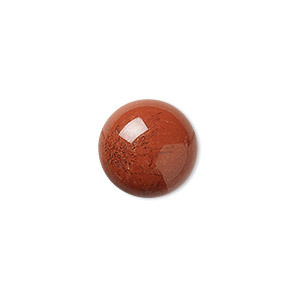 Cabochon, red jasper (natural), 4mm calibrated round, B grade, Mohs hardness 6-1/2 to 7. Sold per pkg of 16. 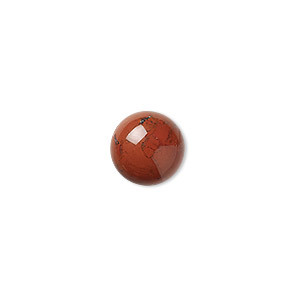 Cabochon, red jasper (natural), 5mm calibrated round, B grade, Mohs hardness 6-1/2 to 7. Sold per pkg of 16. Cabochon, mahogany obsidian (natural), 6mm calibrated round, B grade, Mohs hardness 5 to 5-1/2. Sold per pkg of 10. Cabochon, carnelian (dyed / heated), 6mm calibrated round, B grade, Mohs hardness 6-1/2 to 7. Sold per pkg of 10. 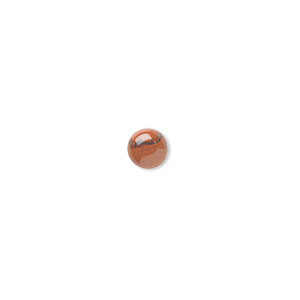 Cabochon, red jasper (natural), 12mm calibrated round, B grade, Mohs hardness 6-1/2 to 7. Sold per pkg of 6. Cabochon, red jasper (natural), 14mm calibrated round, B grade, Mohs hardness 6-1/2 to 7. Sold per pkg of 4. 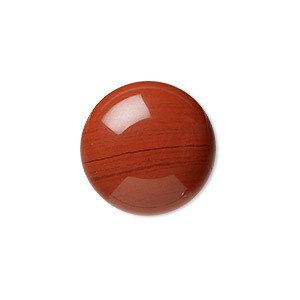 Cabochon, red jasper (natural), 16mm calibrated round, B grade, Mohs hardness 6-1/2 to 7. Sold per pkg of 4.